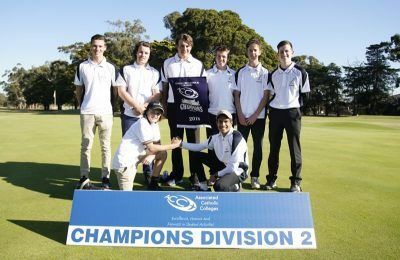 At the start of this week, our Golf Team went to Northern Golf Club to play in Division 1 of the ACC Junior Golf Tournament. The Junior Tournament is for players from Year 10 and below and we formed a strong team of students from Years 8 to 10. In warm but very windy conditions, our golfers played really well to finish in 3rd place overall. We were just 4 strokes behind 2nd place and only 18 strokes behind the Division 1 winners, De La Salle. Our best round was shot by Jack Perrin of Year 8 with 83. Blake Ritchie of Year 10 scored 84, Lochie O’Connell of Year 8 shot 90 and our best 4 scores were rounded off by Jack Knight of Year 9 with 93. Well done also to Jordan Goss and debutants Alex Dunmill, James Doran and Hayden Moulder.